the KHT-Kinderhaus Thalwil offers residential care for 31 children and young adults between the age of 5 and 19. the KHT has been working with NVR for more than six years. The Systemic Institute Augsburg was founded in 2002 by Volkmar Abt and Ingrid Müller and offers two key services. As a learning centre it provides professional development and certified training in systemic consulting, therapy/family therapy and coaching. As a practice centre it offers systemic consulting, family therapy and individual therapy, supervision, coaching and organisational development. Since 2010, we use Haim Omer’s approach as a key principle in our professional training programs. Our team has been trained by Irit Schorr Sapir and Tal Fisher (NVR-School). We are preparing the first New Authority Conference in Augsburg 2015 in close cooperation with Haim Omer. Based on Haim Omer’s New Authority Psychology and Non Voilent Resistance we offer support and treatment for both parents as well as skilled staff. as well as tailored seminars and lectures for youth welfare services, social organisations and schools. 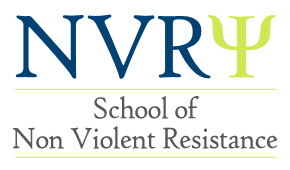 NVR Italia was founded in 2016 by a group of professionals, psychiatrists and psychologists, working in different fields, to provide the ideas of New Authority (NA) and Non Violent Resistance (NVR) in Italy. We translated the book “Nonviolent resistance, a new approach to violent and self destructive children” into Italian. Our professional background is in individual, couple, family and multifamily psychotherapy. We offer our services for parents, schools, social institutions, communities and companies. The St. Maarten Foundation For Psychologists and “Orthopedagogen” (SFPO) was established in August of 2014 by drs. Eveline John- Roberts, drs. Xiomara Balentina and drs. Janique Baly –Kolfin to promote culture sensitive education, research and practice in the field of Pedagogy and Psychology. A new board member, Sanjana Manek, MA, was later added. Our board members have been trained by Mrs. Irit- Schorr- Sapir (NVR School Israel) in the principles of NVR. Training and Coaching for parents, teachers, psychologists and other professionals in the field. Leren Over Leven is an organisation for contextual studies, VCW, SKJ, NVRG and CRKBO certified. We offer Non Violent Resitance and New Authority training, workshops and supervision. The Centre for Adult Entitled Dependence is the first of its kind entirely dedicated to the study and treatment of so called "Adult Entitled Dependence" situations, where young adults become over-dependent on their families. 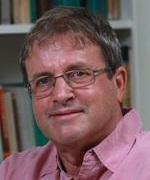 Founded under Professor Haim Omer in collaboration with Dan Dolberger, the center's staff currently includes a team of 5 psychologists and 3 research students. The centre extends the principles of NVR to deal with adult anxiety and violence in the family. The center also treats families with young and adolescent children. The Centre's staff offers supervision and consultation on cases of entitled dependence, as well as general NVR practice. The Systemic Institute for New Authority was founded in July 2012 to spread the idea, the attitude and the concept of New Authority in advanced trainings, seminars and lectures. So we offer our services for parents, schools, youth welfare service and social institutions, communities. We create a first Centre New Authority with therapeutic offers for parents and supervision for Coaches, therapists and teachers. There are also possibilities for practitioners to get own experiences trained by us. We offer a 14 day certificated program with the IF Weinheim in groups, advanced seminars for therapists and coaches, supervision in groups, indoor training programs in addiction to the request , individual case supervision and other individual inquiries. SyNA is a cooperating Institute to the IF Weinheim, Member of the Network New Authority (NENA) with INA (St. Pölten, Austria), IKJF (Graz, Austria) and MISW (Munich, Germany) and we are proud to be part of the International Network of NVR Psychology. We offer lectures, educations and practice- based trainings for individuals, social institutions and companies in New Authority. Psychology Mediation Coaching Supervision Training Consulting. The systemic perspective is the cornerstone of SYNTAGMA’s approach of all of its services. 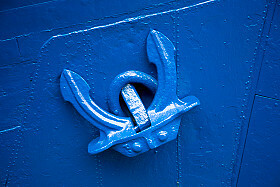 SYNTAGMA’s strength lies in building strong systems - both intrapersonal and interrelational - mainly in the context of the couple or (extended) family. Be it in systemic therapy or family mediation, NVR/NA have emerged as interesting contributors to effectiveness and its lasting. Being qualified Cross Border Mediator EU as well, the NVR approach has taught us to be very helpful in the mediation process of international child abduction cases. Experience learned that these systemic approaches may also be effective for professional organisations by solving team communication problems. SYNTAGMA keeps up an extensive professional network and offers a variety of training modules and lectures in its fields of expertise – off the shelf and tailor made – for parents, therapists, coaches, lawyers, managers, etc. The Swiss Center of Excellence for Multi-Systemic Practice and New Authority is committed to the charta of the International Association of the NVR Founders Group. Our work is inspired by the concepts of Haim Omer and Eia Asen (multi-systemic cooperations). We offer coaching and training for parents, social workers, schools, social institutions and communities. In addition we are a network of experts and institutions in Switzerland that work with New Authority and multi-systemic approaches. The Viennese Institute for New Authority provides lectures, training and supervision in NVR/New Authority for individuals, teams, and organisations. Our main focus is on professionals in education, social work and community work. We offer counselling, coaching, supervision and training for managers, facilitators, teachers, headmasters, parents and families.